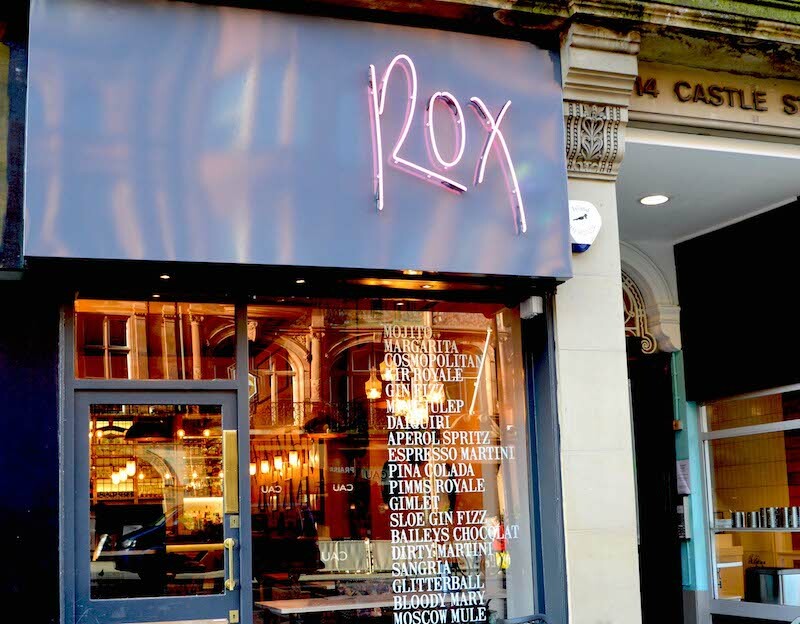 Take a look inside Castle Street’s newest cocktail bar, Rox Your World. The site, formerly Pinch, and before that hairdresser and beauty salon Origin, has a fresh new look. Warrington based interior design company DV8 Designs has revamped the Castle Street venue. Designer Lee Birchall and the team create a unique space designed with leisurely lunches and cocktail nights in mind. He says: “The total scale of the project included a full renovation of the ground floor space to breathe a new lease of life into the venue. “The design brief pays homage to elements of the original bar, but the space has been given a complete refresh to create an upmarket cocktail bar akin to its highly sought-after location. 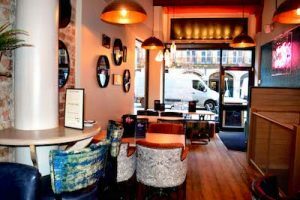 “It was important for us to stay in keeping with the high end feel of Castle Street and to complement the neighbouring establishments whilst implementing our own unique feel to make this venue truly stand out from the crowd. “For a luxurious feel we incorporated a palette of emerald green, navy blue, copper, and pastel blush pink tones used against opulent finishes such as light lime washed oak and marble. For a fun pop of colour, we introduced splashes of neon pink and burnt orange into the upholstery, which also aligns the interior with the venue’s new branding with neon signage on the exterior really capturing the attention of customers and passers-by alike.